Eval & GO is an online survey software designed and developed in France. Single choice, open text, form, matrix... dozens of question types are available. A library also shows you ready-to-use questions. 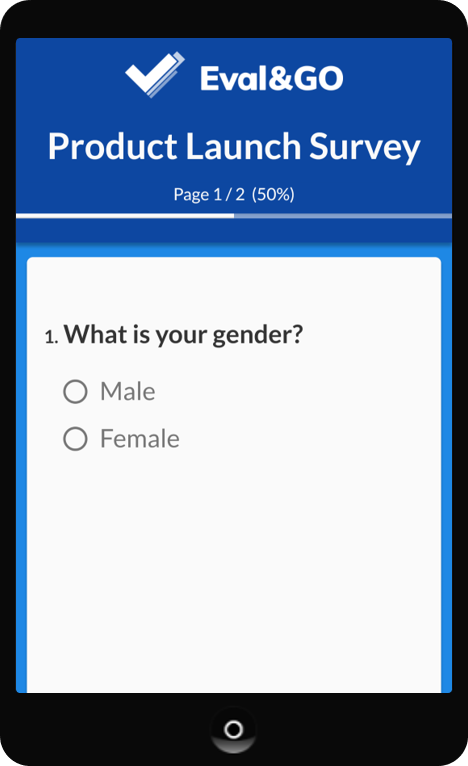 Questions can be connected and organised following a specific logic, but it is also possible to adapt the design of the questionnaire by integrating a logo, colours and fonts and other customisable elements. You can send your questionnaires via e-mail, via an anonymous link or embed. You can track the number of respondents to your questionnaires in real time using our dashboard. The data collected will be shown in a fully customisable automatic report. It is then possible to export it in many formats or to share it online. Eval&GO is available in 6 languages and used by more than 150,000 customers worldwide. We constantly evolve to satisfy our customer expectations and follow the market trends.